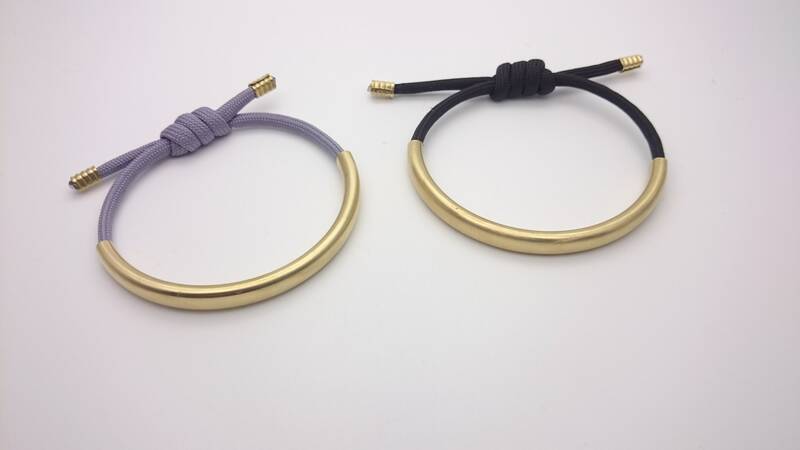 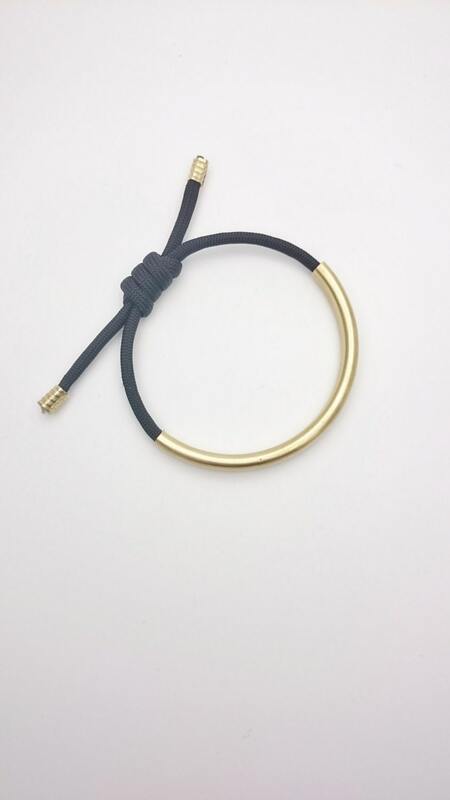 Black or Grey Rope Bracelet adjustable gold raw brass tube//Cuff bangle cord hypoallergenic minimalist simple jewelry. 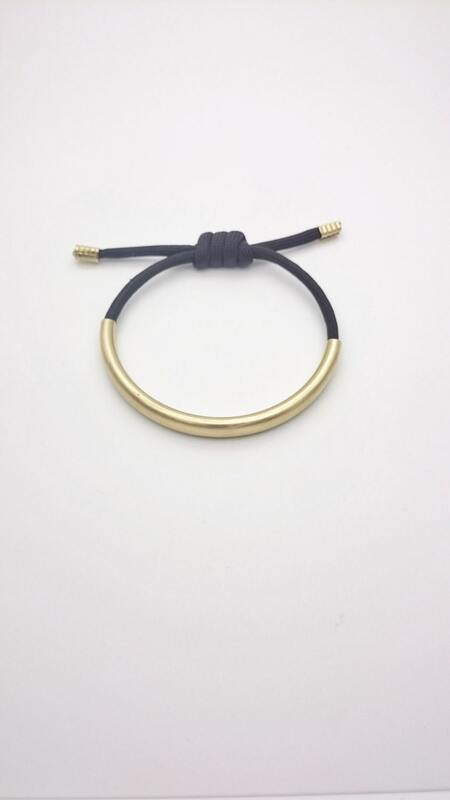 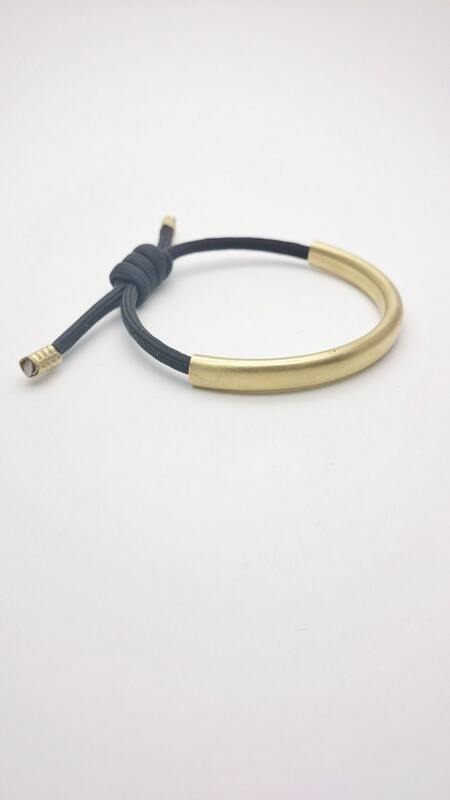 I made this bracelet with black or grey nylon rope cord 4 mm thick and a gold raw brass curved tube 10 x 0,7 cm. 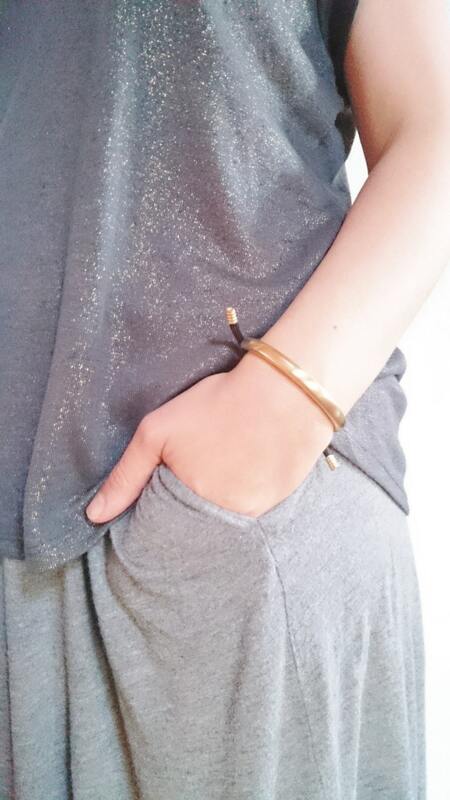 It is a minimalist and hypoallergenic bracelet. 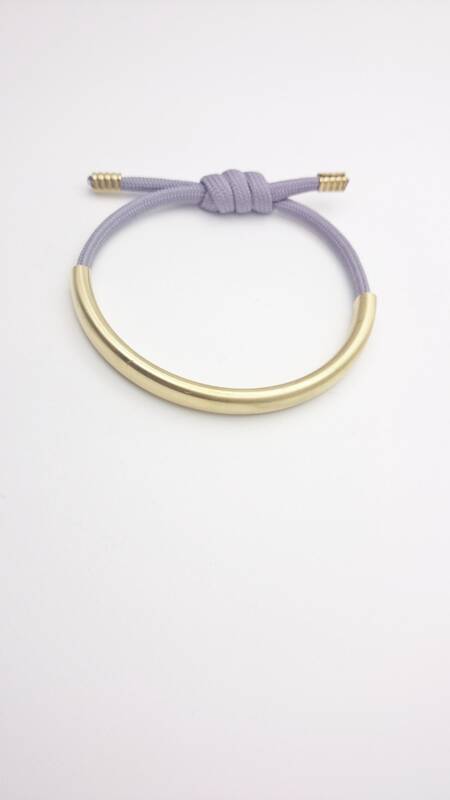 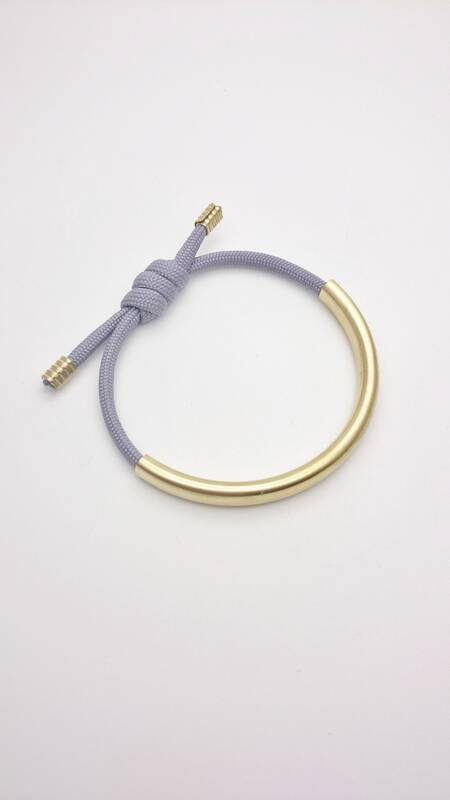 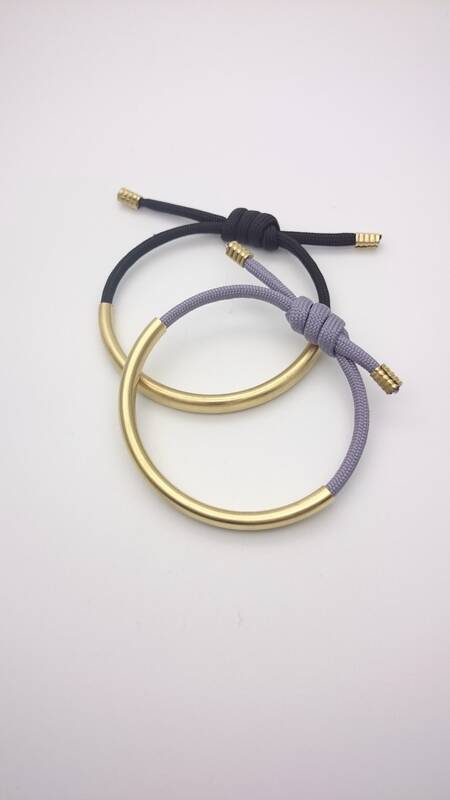 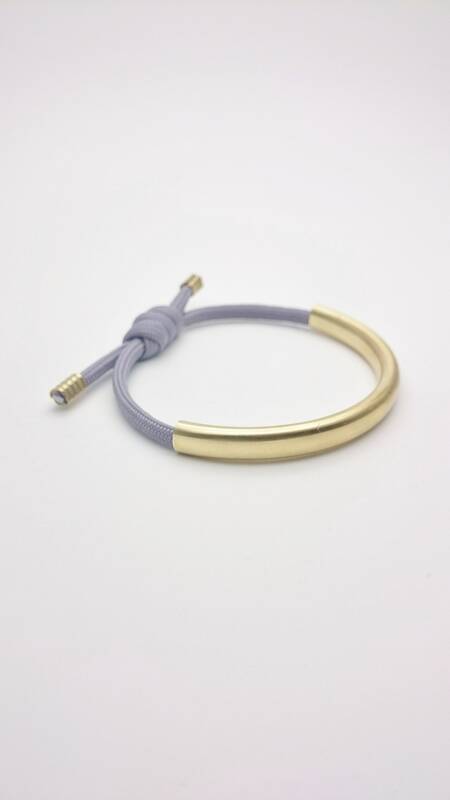 This rope bracelet is adjustable with the knot. 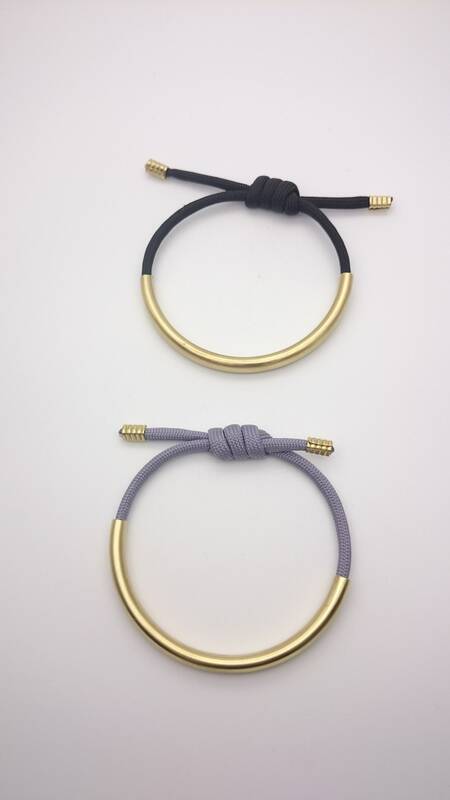 2 color rope to choose : black or grey.